Are you a parent who desires to help your child learn while having fun yet it is sometimes difficult to engage your child in their lessons? We have all been there, we get frustrated and want to throw in the towel. 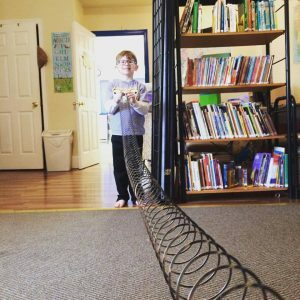 What if you could breathe new life into your family’s educational time? Here at Reading Escapades we have been homeschooling our own children as well as teaching others for eighteen years and have created thematic activity units based on our children’s interests. Maybe you are parent looking to enrich your child’s education. Or maybe you are a teacher looking for a way to engage struggling learners. Our lessons are perfect for teaching multi-age or multi skill levels at one time. These units encompass math, reading, art, science, and social studies for children preschool through third grade. A Master Supply list for all the activities in the packet. Suggested Book List to accompany the activities. 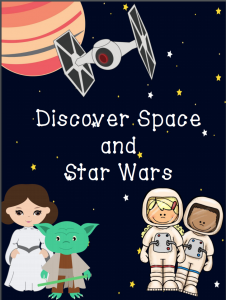 Each thematic unit includes a set of focus words, reading games and writing activities. 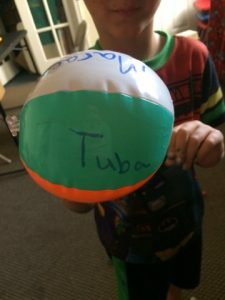 In our Symphony of Fun unit your child can play memory, hide and seek and a beach ball game to practice the thematic focus words. 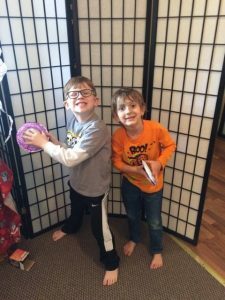 These are different than your typical sight words, but rather words that will excite your child. Our focus words for this unit are: tube, maracas, pan flute, drum, guitar. Also, included in this packet are handwriting sheets for each of the focus words, creative writing, and writing a play. All good mathematicians excel at finding patterns, especially in numbers as well as in the world around them. In our Symphony of Fun unit you and your budding musician will look for finding patterns in the rhythm of music and clapping or dancing. In science, we will discover how sound waves travel. We have learned that children need to express themselves creatively. For this reason, each thematic unit includes Creative Arts activities. These activities include art, music, and dramatic play. 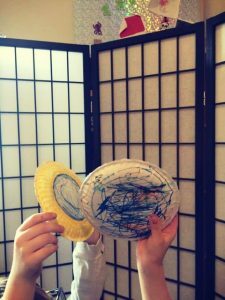 Symphony of Fun unit has your child designing their own paper plate tambourines, a cardboard roll didgeridoo, and plastic egg maracas. Also included are some songs and finger-plays. These creative arts activities will keep your child entertained and learning for hours. We try to incorporate as many disciplines as we can into each of our thematic units. 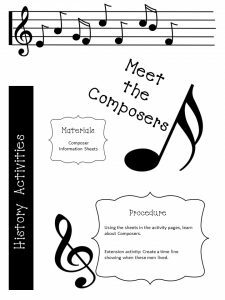 In our Symphony of Fun unit we have included a music history activity that matches a short biography with a picture of the composer. For geography we have your musician mapping the origin of instruments. Download your copy of our Symphony of Fun Unit here.